“It was so wide and the rain so heavy, it was impossible for anyone in the city to see the funnel approaching.” The cover of this publication demonstrates how T.E. Caldwell of Thornton, Texas, remembers how this storm on May 11, 1953 looked. This week marks the 60th anniversary of the May 11, 1953, tornado that hit Waco, Texas, causing the deaths of 114 people. To honor those who lost their lives on this tragic day, and the great loss of a large part of Waco’s central business district, we have put on our Flickr page some unseen or seldom seen photographs of the affected areas of Waco, before and after this storm. This group of images includes digitized 35mm, 4×5 and 8×10 photograph negatives, Kodachrome slides, stereo-slides, and printed photos, and features images captured by Waco photographers such as Hiram Blaine Sherrill, Randall W. Todd, Fred Marlar, and the Army Air Force Photography Division. We also included “before” photos, giving us a sense of what these stricken parts of Waco were like before the catastrophic storm. The top image, taken by Fred Marlar in about 1951, contrasts with the image below taken by Jimmie Willis of the same vicinity after the 1953 tornado. Fred Gildersleeve, a well-known Waco photographer, also documented the storm’s wreckage. In a 1977 oral history interview, Waco historian Roger Conger remarked of Gildersleeve that “…Waco was most fortunate in having him here because he rode the crest of Waco’s remarkable development during the first twenty-five or thirty years of this century.” But sadly, just a few years prior to his death in 1958, he also saw the destruction of part of the city he had made a living photographing. He likely lost friends in the tragedy. However, like his earlier work, his documentation of the aftermath of the 1953 Waco Tornado helps to record an important part of the city’s history. Another photographer whose work is being brought to light is Dr. Hannibal “Joe” Jaworski. He resided in the nearby Roosevelt Hotel (400 Austin Avenue) and had a medical practice on the third floor of the Amicable (ALICO) Building, on the corner of 5th and Austin. In the aftermath of the storm, he led medical care of the wounded at Waco’s Hillcrest Hospital. Jaworski previously served as a colonel in the U.S. Army Medical Corp, and so his experience earned during WWII made his contribution vital in helping those injured in this catastrophic natural disaster. Check out more before and after images of the 1953 Waco tornado in our Flickr slideshow. Click the arrow to make the slideshow start, and click the crosshairs in the bottom right corner to make the slideshow full-screen. Learn how The Texas Collection collaborated with the Dr Pepper Museum and other local cultural heritage organizations to commemorate the 1953 Waco tornado. Visit the Baylor Institute for Oral History to explore their many oral histories that discuss the tornado. Come research the tornado in our holdings at The Texas Collection. 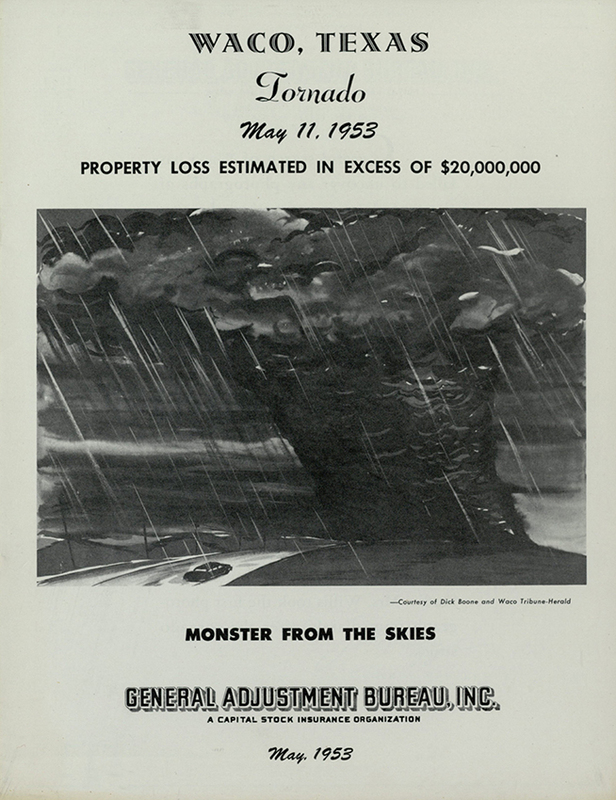 Read a blog post we wrote about the tornado last year, drawing from our archival materials.